Need UL? 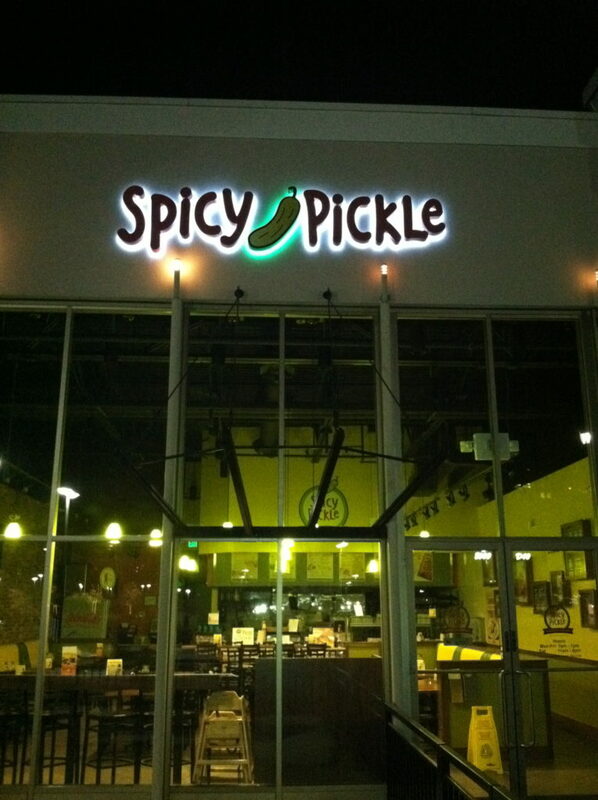 We are a UL Listed Company, and provide this service option on every Illuminated-Sign quote. 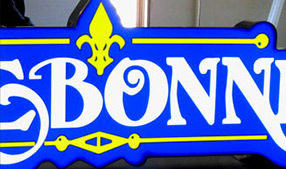 LetterFab offers several different varieties of channel letter signs. There are some steps in the process where your input is needed. The info below will introduce you to our different products and inform you of what needs to be considered. See our Quote Request form if you are interested in pricing, or if you require more information, please visit our contact page and give us a call! 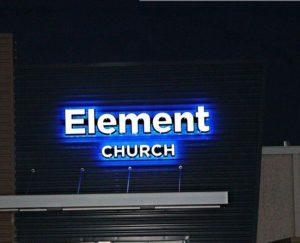 Our standard channel letters are fabricated with 3/16″ cast acrylic faces, .040 aluminum pre-finished returns, and .063 aluminum backs. All of our trimmed faces are cured with infrared heat to ensure a superior acrylic bond. Click Here to view Color Options. Reverse Channel or “halo lit”/”back lit” letters are finely crafted by our team of professionals who understand that quality comes first. Standard reverse letters are .080 aluminum faces welded to 2″, 3″ or 3.5″ .063 returns, caulked, sanded and painted to your color specifications. Clear poly-carbonate (Lexan) backs are available as well as LED illumination. 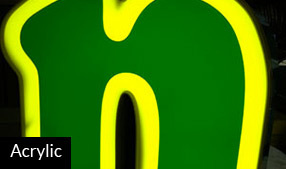 Front & Back-lit signs/letters are constructed with an illuminated face (or cut out) and a “halo” effect in the background. 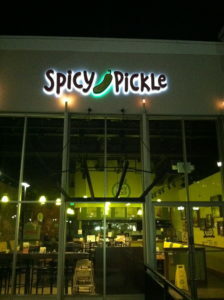 This type of signage requires skillful planning to achieve the right look. We have the experience and machinery to fabricate many variants of the Front & Back-lit option. Single or 2 color LED options. 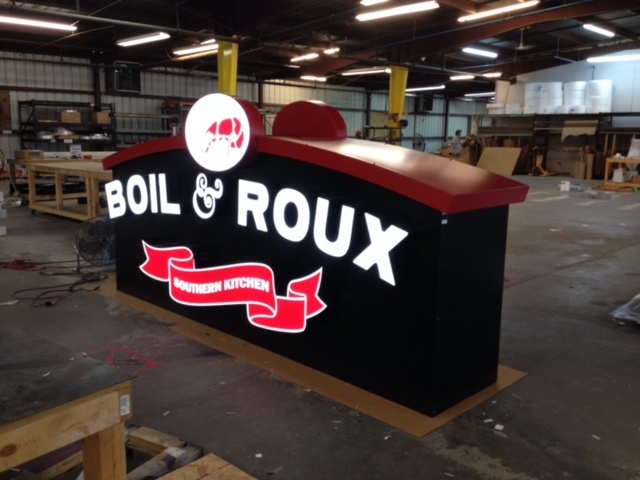 Cloud Can, Cabinet Sign, or Channel Boxes are available as well. We work with you to provide the product that suits your design. 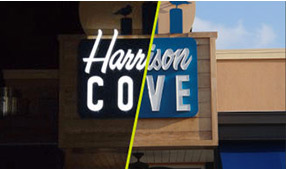 Single or double-faced signs, with or without graphics are available options. 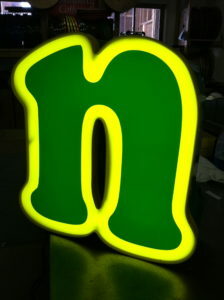 A popular non-illuminated option; Letters and/or logos cut from Aluminum or Acrylic, available in a variety of thicknesses. Can be painted any custom color and studs applied. Pylon: Can be mounted to single or multiple poles with many variants in lighting. Monument: Can be made from many different materials. Custom size and shape. Push-Thru, Extrusion Cabinets (single or double faced), Blade signs with Mounting Brackets. 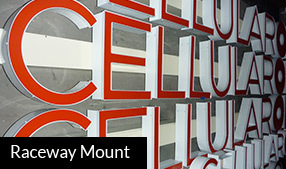 Aluminum: Aluminum letters are available for clients with a need to impress. 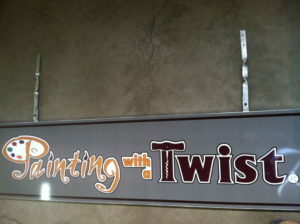 Professionally welded and detailed, our aluminum letters will create a long lasting visual statement. Constant Color: Always same color, day or night. 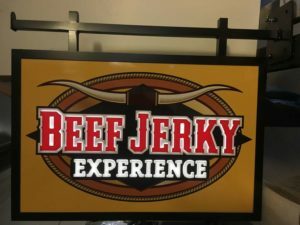 Translucent vinyl overlays offer many acrylic face options. Dual Color: 3M has designed a special vinyl, micro-perforated to offer you one solid color during the day while illuminating any other color you choose at night. Flush Mount: Flush mounted signs are attached directly to any surface using the appropriate fasteners, designed specifically for your needs. Custom Mount: Some buildings have irregular walls, and some have obstructions such as gutters, roof-lines, or architectural décor. Let us help you plan your custom mounting options for that challenging storefront. Click the Wrench icon below to view some examples. Additional information can be found at “Specs” and “Downloads” tab at top of page. LetterFAB is a national wholesale channel letter manufacturing facility. Our facility is equipped with fully automated machinery to produce your channel letters with the highest possible standards.